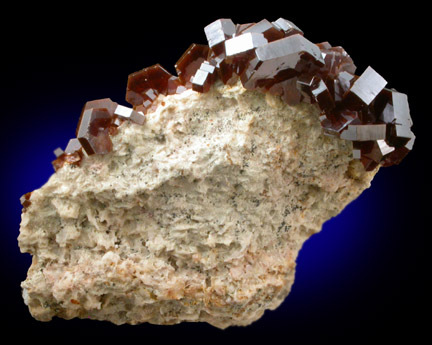 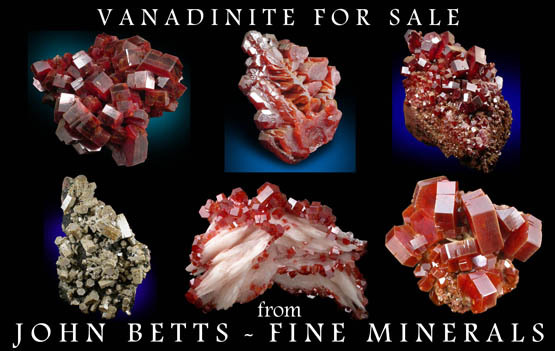 Description: Unusual specimen of burgundy-brown vanadinite crystals grown along edge of matrix. 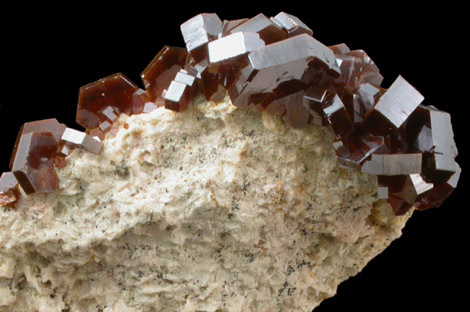 One side has lustrous crystal faces with deep color. 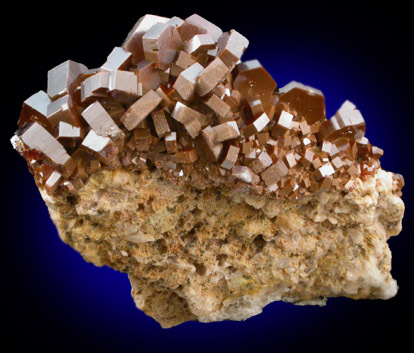 The back side has medium-brown faces with microcrystals of a colorless mineral (aragonite) on selected surfaces.